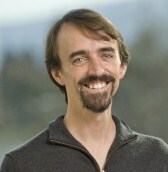 William R. Penuel is a Professor of Learning Sciences and Human Development at the University of Colorado Boulder. His research focuses on teacher learning and organizational processes that shape the implementation of educational policies, school curricula, and after-school programs. His research has appeared in the American Educational Research Journal, Teachers College Record, the American Journal of Evaluation, Science Education, and the Journal of the Learning Sciences. He is on the editorial board for Teachers College Record, American Journal of Evaluation, and Cognition and Instruction. Prior to joining the faculty at CU Boulder, Penuel was Director of Evaluation Research at the Center for Technology in Learning at SRI International for 13 years.